Welcome to another episode of Wildstorm Addiction! 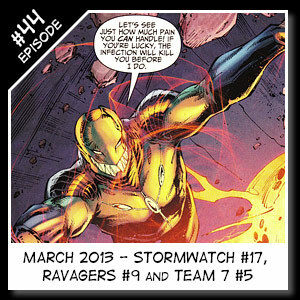 Our resident Wildstorm experts Joe David Soliz & Benjamin Murphy review the new DCU versions of Stormwatch #17, Ravagers #9 and Team 7 #5, as well as some other Wildstorm appearances in the new DCU 52! 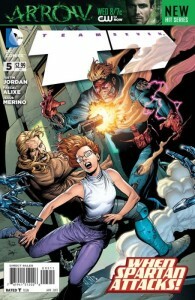 This our first of hopefully many, “Friends of Wildstorm” episodes where we bring on a lifelong or recently converted fan of the Wildstorm Universe. They hash out the recent news, issues, and give us their reviews right along side of us. There is no better way to start off this inaugural endeavor than by starting it off with thee O.G. 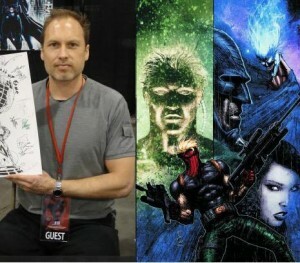 Wildstorm fan himself, Chris Striker. Founder of theauthority.ws and stormwatch.ws fansites, as well as the numero uno hangout for Wildstorm fans far and wide, the Clark’s Bar comics forum.